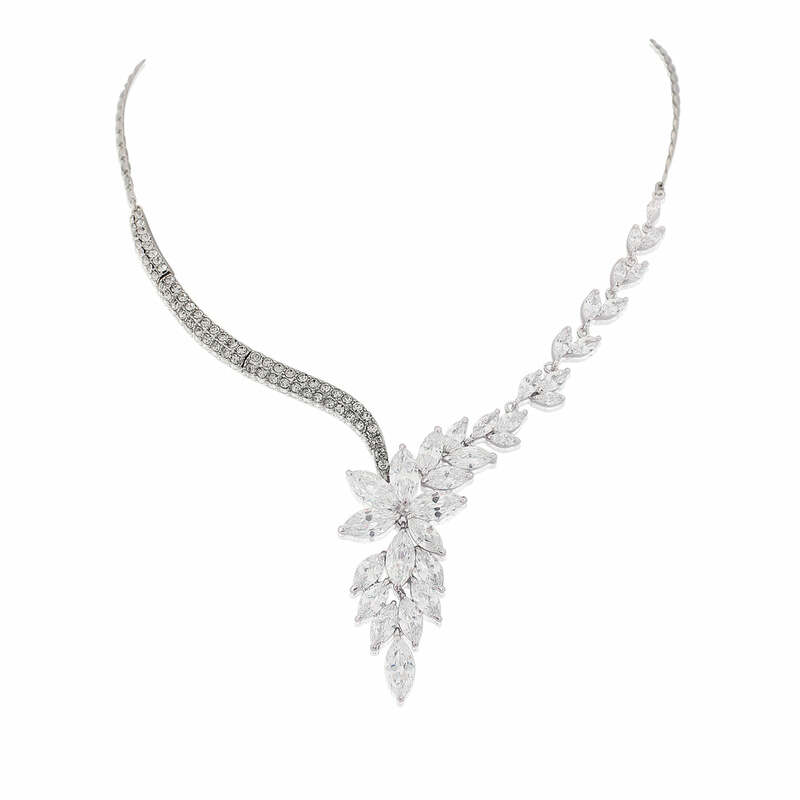 Fans of 1940s Hollywood glamour will adore the elegance of Cascades of Crystal jewellery set featuring cubic zirconia leaf drop earrings and a divine Y necklace. The epitome of Old Hollywood style, our Cascades of Crystal Jewellery Set instantly adds a touch of movie star elegance. Featuring drop earrings and an asymmetric necklace encrusted with marquise cubic zirconia, each piece looks stunning worn alone and breathtaking worn as a coordinating set. 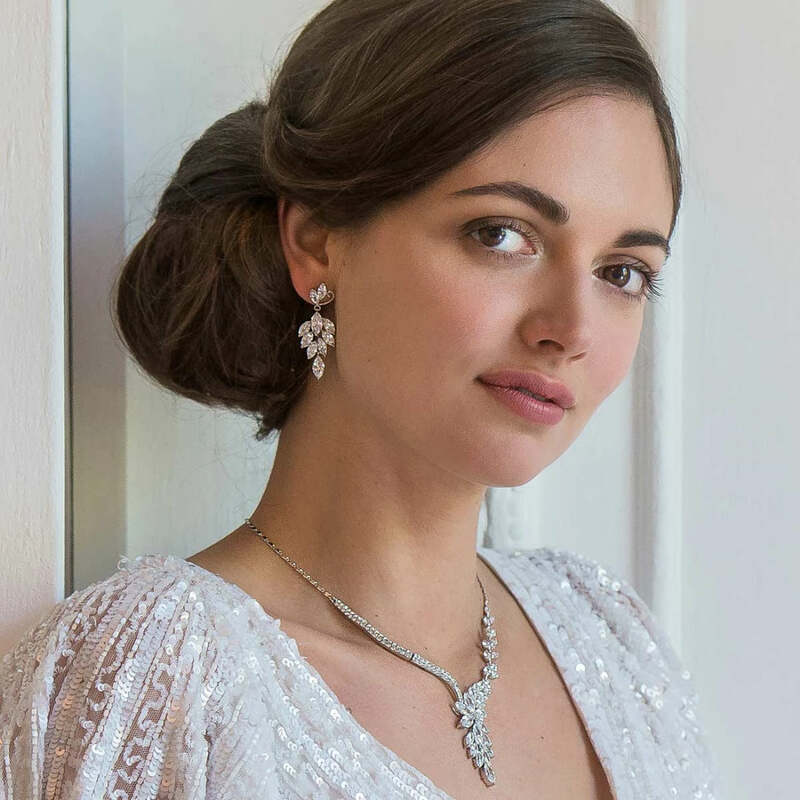 Beautiful wedding jewellery for the bride who adores timeless glamour, the classic style of this two piece adds graceful style. From the walk down the aisle to your first dance in the spotlight, unleash your inner Screen Starlet on your special day with this sparkling duo. Perfect to transform a favourite dress or trouser suit for a special occasion, Cascades of Crystal will take you from a dinner date to glamourous party in effortless style.